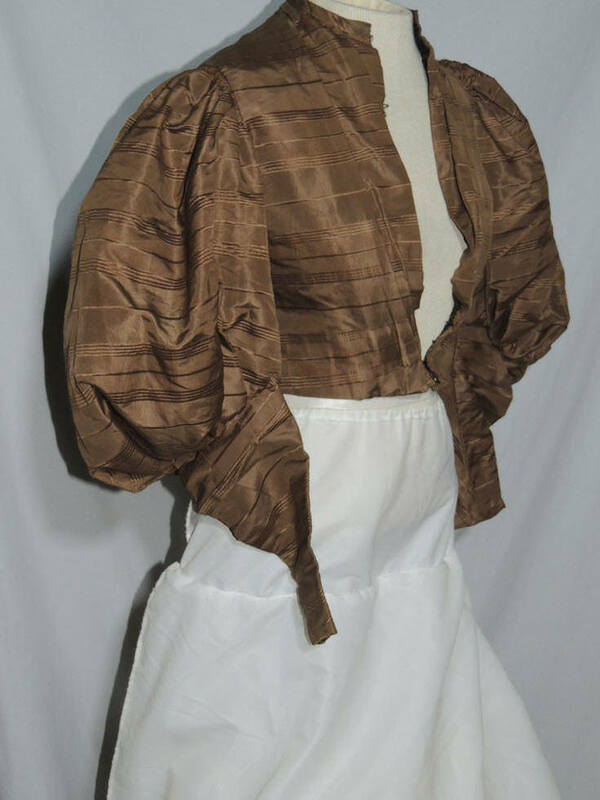 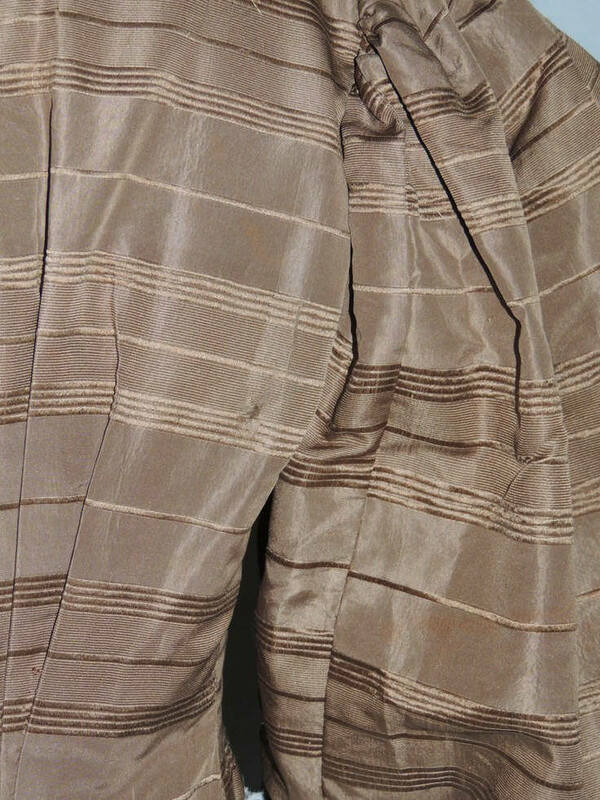 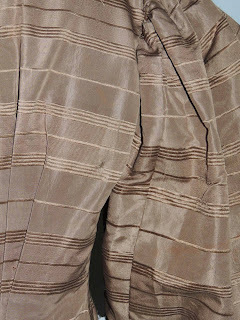 Victorian 1890's Bodice, made from a brown silk with a woven stripe. It has huge leg o mutton sleeves and hooks down the front. The lining is cotton and it has boning in the seams. 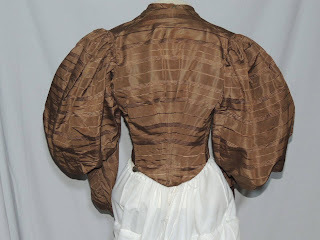 Both underarms have some damage, but with the full sleeves mends wouldn't show and there's a small tear in one back side seam, the lining is torn at the center back. 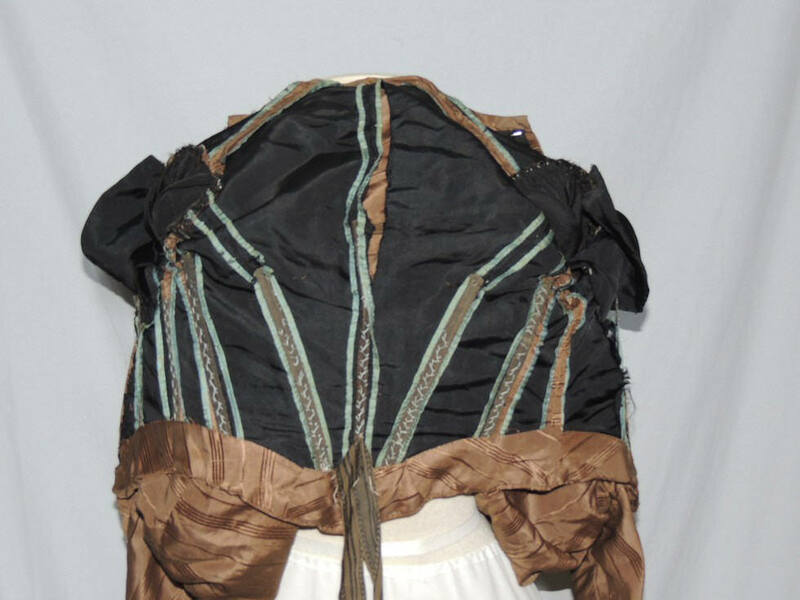 It measures 33 inches around the bust, waist is 24 1/2 inches, across the back about 4 inches down from base of the neck is 11 3/4 inches and it's 16 inches long from the shoulder in front.